Howard TV, the video arm of the Howard Stern Show, has yet to find a new home. They don’t call him the King of All Media for nothing. Stern and the previous Howard TV distributor, iN Demand, ended their contract after eight years on the air in 2013. One possible option: Netflix. Executives at Netflix have reached out to Stern’s camp, along with many others, sources said. A company spokeswoman denied that Netflix has been pitched a Stern project. At stake is more than 2,000 hours from Howard Stern’s old E! show — and nearly as much original programming filmed specifically for iN Demand’s Howard TV channel. It’s a treasure-trove of frequently obscene awesomeness that is just plain funny. 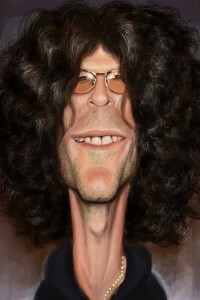 Supreme Court Justice Howard Stern?